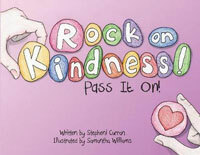 You are viewing events tagged rock on kindness author stepheni curran. View all events. Kids & Adults In celebration of Children's Book Week, Wisconsin author Stephani Curran will visit us and talk about her book "Rock on, Kindness!"